Volunteers make Queen City Prom possible! To volunteer at one of the proms, follow the link below. Serve as a Set Up Volunteer, General Volunteer or One-on-One Prom Buddy at Tim Tebow's Night to Shine hosted at Elevation University City. To volunteer at Night to Shine (North Location), click here. Serve as a Host, Hostess or Server at Carmel's Joy Prom. Online training is REQUIRED. 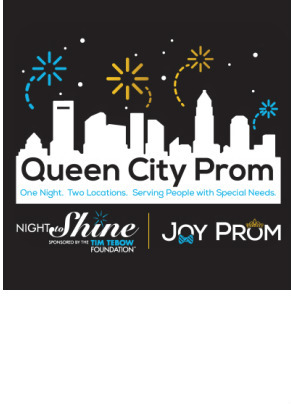 To volunteer at Joy Prom (South Location), click here.